CrimeOnline has obtained audio of the first interview Chris Watts’ girlfriend Nichol Kessinger gave investigator, before Watts was arrested for murdering his pregnant wife Shanann Watts and daughters, 4-year-old Bella and 3-year-old Celeste. The Weld County District Attorney’s office provided an audio recording of Nichol Kessinger’s August 15 police interview in response to a Colorado Open Records Act Request. CrimeOnline had previously published audio of an interview Kessinger gave police on August 16, first published in the Denver Channel, which references an earlier interview. 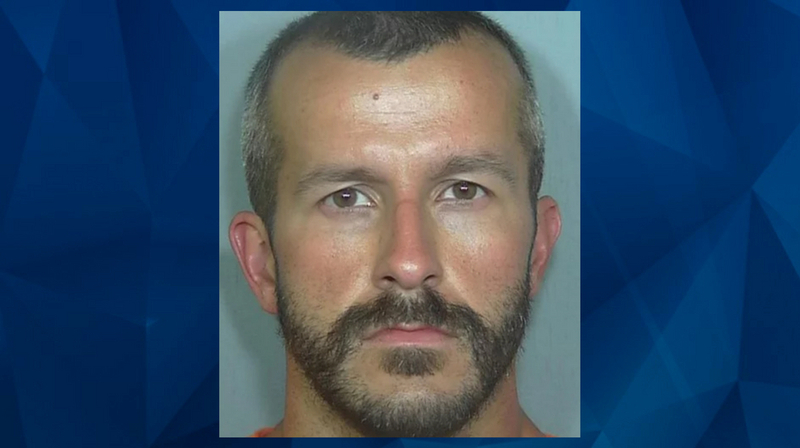 Kessinger contacted police the week Shanann Watts and her daughters went missing to inform them of her relationship with Chris Watts. The audio file of the August 15 interview provided to CrimeOnline indicates that Kessinger met at an outdoor location with Special Agent Philip Jones, and that her father was present, but rarely spoke. Kessinger told the investigator that she met Chris Watts at Anadarko Petroluem, where they both worked at the time, in the beginning of June or a bit earlier. She said the two started spending time together outside of work in late June, and that the relationship became intimate. As Kessinger said in the interview previously published in CrimeOnline, Watts told her that he had two daughters and that he was separated from his wife and expected to get a divorce. Kessinger said she did not know Shanann was pregnant until news coverage of her disappearance. “If she’s pregnant that’s a beautiful thing, but that’s information he definitely withheld from me,” Kessinger told the investigator. She also said that when she confronted Watts about the pregnancy, he initially tried to claim the baby wasn’t his, but that she knew he was lying. Eventually, Watts told her the truth, Kessinger said. The 30-year-old woman also spoke about going to Watts’ home in Frederick. Here and in other instances, Kessinger’s account deviates from a more formal interview she gave the next day. In the initial interview, Kessinger said she went to the house only once, in mid-July, and stayed for 15 minutes. “I had no desire to go over there, that’s a situation where he’s living with somebody that he’s separated from … That’s not my life. That’s their life,” Kessinger said. In the subsequent interview, Kessinger told investigators that she went to the home one other time earlier in July, and had lunch with Chris there. In both interviews, Kessinger said seeing photographs of Shanann and the girls made her feel that Chris should try and work on his marriage. But she said Chris told her that he didn’t want to. “If you’re trying to separate from her and it’s really finalized I will respect that,” Kessinger said in the August 15 interview of her thoughts at the time. When asked if Chris Watts was in love with her, Kessinger said yes, but when asked if she was in love with him, she said no. “I think it could have gotten there, had things played out in a decent manner… but we’re not because this is a horrible situation and I don’t know where she’s at, and it’s really concerning me that this woman and her children cannot be located,” Kessinger said. In the interview the next day, Kessinger told investigators that both she and Watts told each other they loved each other. In both interviews, Kessinger said that no one in her life was aware of her relationship with Watts. But as CrimeOnline previously reported, Kessinger called investigators the next day to clarify that she had spoken to a friend of hers about seeing Watts, and police subsequently interviewed that friend. At the time of the first interview, Kessinger appears to be unaware that Watts had done anything to hurt his family. She told the investigator that in conversations with him that week, Watts seemed concerned but not panicked about his wife and daughters. Kessinger told the investigator that she had asked Chris not to contact her, and that she considered the relationship to be over, but that she had not officially ended it with him yet. “If you find your family, and they’re all right, then you can go ahead and text me,” Kessinger said she told Watts.